As a sworn officer with the Thunder Bay Police Service, you'll be making a life-saving difference every day. Join Zone Watch and help build a better community. 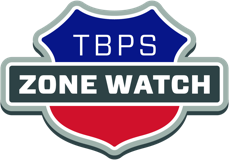 Learn more about the Zone Watch program and how you can become involved. Using this online citizen police report system allows you to submit a report immediately and print a copy of the police report for free. Not all crimes can be reported through Online Reporting. For emergencies, call 911. The Thunder Bay Police Service is committed to working in partnership with the public to serve and protect our communities in a sensitive, efficient and effective manner. You can now bid for items up for police auction online. Learn more here.